What more can we say! It’s Halloween and guests have been invited to arrive in full costume. If you would like to participate in the fun, feel free to bring a treat to distribute at your booth this year. Sugar free treats seem to be appreciated as an option by parents at this event. You’re invited to attend in costume as well, but please remember this is a family event with young children when choosing your costume. We are expecting anywhere from 3,000 to 5,000 guests to come throughout the day. Indicate the # of Volunteers in your group. If it is you only, please write 1. Please list the names and email addresses for the volunteers coming with you. A global movement that provides year round sports programs for people with intellectual disabilities and related developmental disabilities. Information for myself. I have a disability. Information for a family member with a disability. Information for a friend with a disability. I work with individuals with disabilities. I don't know anyone with a disability, just out having fun. I happened to be in the park today. I wasn't planning on attending. If no or none, write N/A. All required fields must be completed for the survey to be submitted. Thank you! Expertise: Barbara Gamez, LCSW, Necole Fryar, LPC, Kyle Ransom, LPC, and Jennifer Zuniga, LPC or Dr. Patricia E. Adams, CMLC, LMFT will be available throughout the day. The Zeitgeist Wellness Group is an authorized provider of 41 insurance/employee assistance programs (EAP) across the United States. San Antonio Independent Living Gloria Aguirre is a full time Caseworker for San Antonio Independent Living Services. She oversees all of the Support Groups and is an Information and Referral Specialist. Gloria began working for SAILS as a volunteer. SENDING STAFF: Rep. Fischer is a problem solver in the San Antonio community. He strives to find solutions to every day challenges in which his district faces, including public health. Jose has for the past several sessions been the author of a number of bills and other initiatives that impact persons with special needs or are at risk because of their physical or mental development situation. This includes a lot of work with Haven for Hope, Center for HealthCare Services, and Gordon Hartman and Morgan’s Wonderland, as well as several of the disability advocacy groups that work with us in Austin. His goal is to be the “ elected lobbyist” if you will in the legislature for those with disabilities and special needs. Providing professional sign language and oral Interpreters 24/7, nationwide. Video remote interpreting (VRI) and ADA consulting/cultural mediation. We work to de-stigmatize mental illness by educating on mental health through entertainment via theater, poetry, literature, music & the arts. Kinetic Kids Dancers: Kinetic Kids offers many different sports & recreation programs for children with special needs from basketball, swimming, baseball, gymnastics, tennis, musical theatre & more. Today we have Kinetic Kids Dancers demonstrating some of their wonderful dance routines under the guidance of their instructor Miss Carissa Tracy. 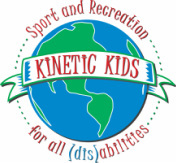 Kinetic Kids is a non-profit organization that provides year-round sports & recreation programs for children with special needs under the supervision of physical, occupational and recreational therapists.